How to Convert/Rip DVDs or ISO File to USB Type-C before Putting DVD Movies to MacBook, Surface Hub, iPad, Apple TV, etc. Q: I have taken on the task of gathering all my DVD's to a USB hard drive. There are over 500 DVDs so I want a fast output that can be used with iTunes, iPad, Apple TV, and directly onto my TV via USB Type-C. What should I do to achieve this? A: USB-C is an upgrade from USB-A, the standard Universal Serial Bus ports mainly used onto our computers, and USB-B used by many of us in portable devices that take advantage of micro-USB, but also commonly found in peripherals like printers. Superior to USB-A and USB-B, USB-C is much easier to plug into devices, like the Lightning cable, and with better data and power transfer rates. 2. Put the converted DVD files to USB Type-C that can be plugged into different devices, and play the videos on the tablet, mobile or TV directly. WinX DVD Ripper Platinum – Fast rip any DVDs to store in USB Type-C for playback on any USB Type-C supported PC, Mac, HDTV, mobile phones, laptops, tablets, and so on. What Devices Support USB Type-C? Any hosts/devices with USB Type-C plug/connector can be used with USB-C. In addition to the regular ones, Apple, while using Gen 1 USB 3.1, has initially invented Apple invented USB-C reversible-plug connector and added support for USB-C in 12-Inch MacBook. Microsoft Windows 10 has introduced the support for USB Dual Role and Type-C, enabling "new wired connectivity scenarios such a phone interacting with USB peripherals, or laptops connecting to an external display using the USB Type-C connector". In the meantime, Google's New Chromebook Pixel, the aspirational Chrome OS notebook, also has USB Type-C ports. By saving digital files of DVDs to USB Type-C hard drive, you can simply play your favorite movies and videos on such USB Type-C supported devices anywhere anytime. For saving/uploading DVDs to USB Type-C, you should rip DVD to USB at first. A professional DVD ripper is needed to at least guarantee the compatible with the new type USB and devices, fast conversion speed and high output image effect. WinX DVD Ripper Platinum is the best DVD ripper software that can meet all such factors you care about. It is famous to Windows and Mac users (at Mac edition) who collect DVDs because of the abilities of fast copying any DVD to an ISO image, MPEG2 file or DVD folder, ripping DVD to AVI, MP4/H.264, MPEG, WMV, FLV, MOV, M2TS, etc. for saving on USB, hard drive, Chromecast, computer stick and so on, and converting DVDs to be friendly with Apple iPhone/iPad/iPod/Apple TV, game consoles, as well as Samsumg, HTC, Google, Microsoft, Huawei, Asus, Acer, Nokia and Motorola mobiles and tablets in terms of both file format, aspect ratio and the like. Step 1. Install and launch WinX DVD Ripper Platinum on your PC. 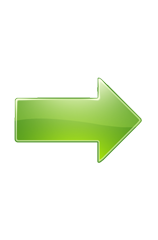 Click "DVD Disc" button to add your source DVD. You are also allowed to add an ISO image or VIDEO_TS folder. Step 2. Choose a proper output format, which is the most important procedure in converting DVD to USB. You may want to plug USB Type-C to different devices, so the most recommended output format for you to choose is MP4, which is widely accepted by most devices and players, good in video quality and modest in file size (with great compression rate). 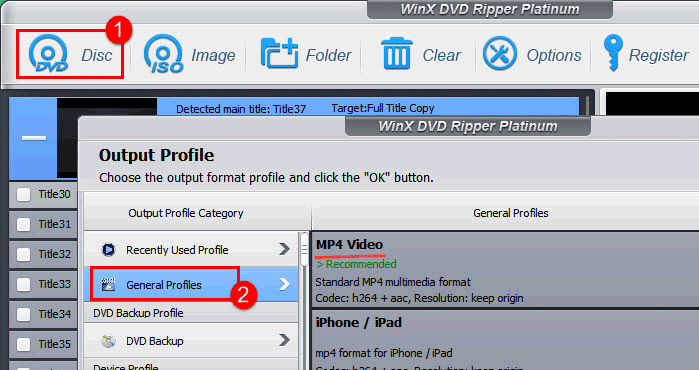 If you are to convert DVD to MP4 for storing on the flash drive, please find "MP4" in "General Profiles", "PC General Video" or "Mac General Video" and click OK.
Alternatively, you can select the profile corresponding to the target device you are to play the video on, for example, iPhone 6, iPad Air 2 and Samsung Note Edge, since the DVD ripper has 350+ built-in profiles. 1. If you have inserted your USB into the computer, you can directly choose the USB disk as the output location and determine the out folder in the "Destination Folder" column. 2. If you don't have your USB plugged into your computer while ripping, you can first save the output file in any folder of your computer and transfer it to the USB Type-C later. Step 3. Hit RUN button to start ripping DVD to digital video files. After the DVD file is ripped to USB Type-C, the USB can be plugged into different devices for simple and smooth playback. In other words, you can enjoy the plug-and-play mode in a snap. More than DVD to USB Type-C: WinX DVD Ripper can rip any DVD to MP4, AVI, WMV, MPEG, FLV, MTS, MOV, and other mainstream videos for saving on local or external hard drive, USB, MicroSD card, iPhone, iPad, PSP, Android/Microsoft and other devices playable windows on Windows and Mac OS for different uses. It also clones a DVD to ISO image file/DVD folder/MPEG2 file extremely fast without quality loss with with Super Encode Engine, Hyper-threading tech, etc. The bonus features include bypassing DVD copy protections for personal use, adding own SRT subtitles to DVD subtitle track, merging movie titles, cropping and trimming, and flexible settings for advanced users. 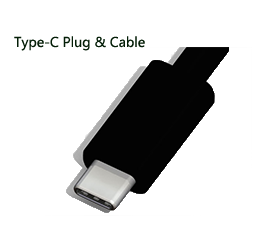 USB Type-C Wiki - All about USB type-C connector pinouts, full-featured USB 3.1 type-C cable wiring, etc.